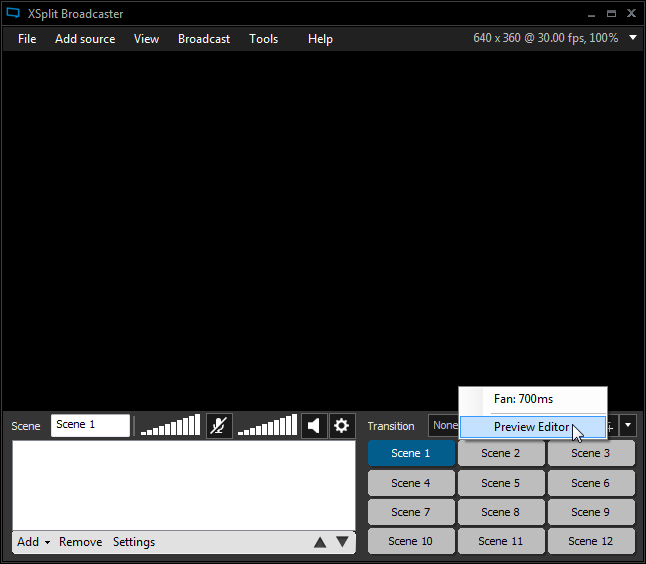 This section of the guide will help you improve your stream production. 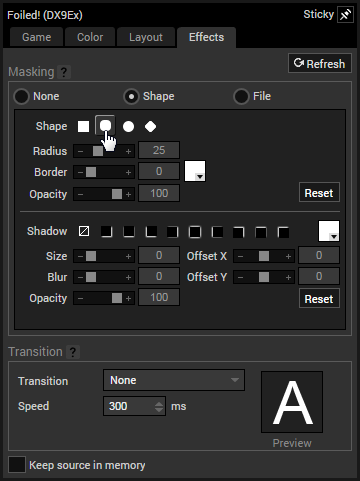 While streaming setups can vary greatly, the tips here apply to a wide variety of users. One of the most common upgrades is to switch from using web cameras to camcorders. Camcorders offer better visual quality through the ability to adjust a variety of options like aperture, focus, frame rate, and more. Camcorders also have better performance with Chroma Key and in low light situations. The only drawback to using camcorders is the increased equipment requirements. 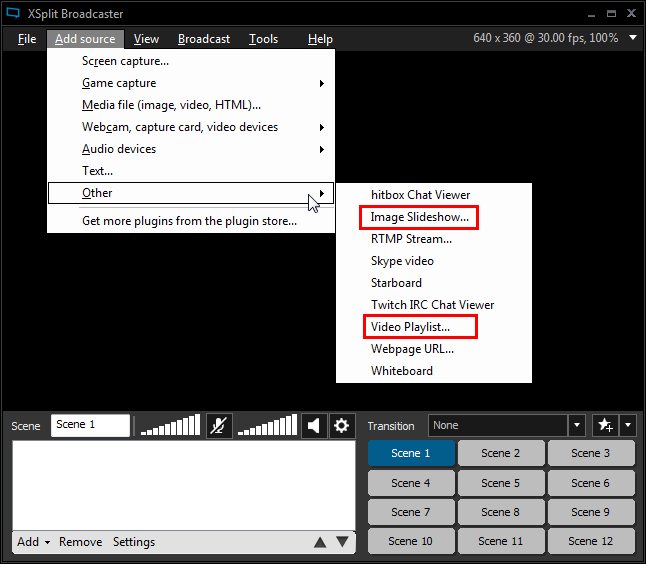 You’ll need to have a tripod, a capture card, and extra cabling to effectively add a camcorder into your XSplit Broadcaster setup. 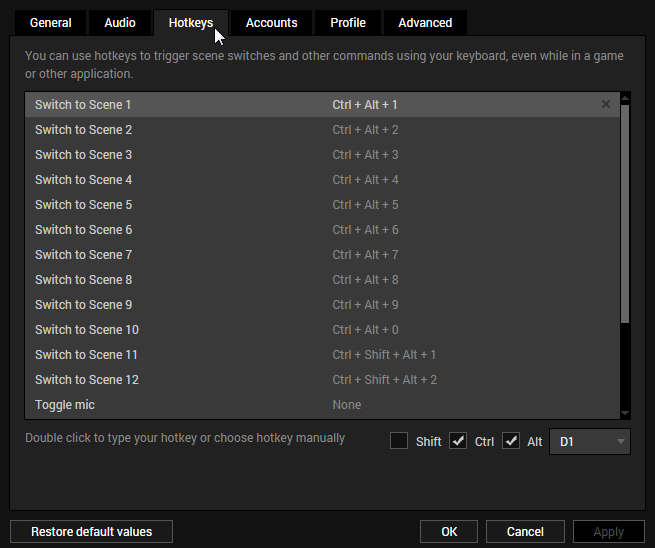 Chroma Key is an extremely useful tool on improving your production. 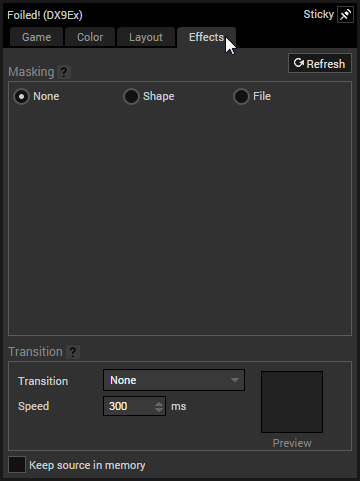 However, without the right conditions, it is easy to get a very poor chroma key effect. So, make sure to have proper lighting conditions when using chroma key as poor lighting will severely reduce the quality of the chroma key. Another tip is to make sure your backdrop is as smooth as possible. Backdrops with creases create shadows that are hard to compensate for when adjusting your chroma key settings. 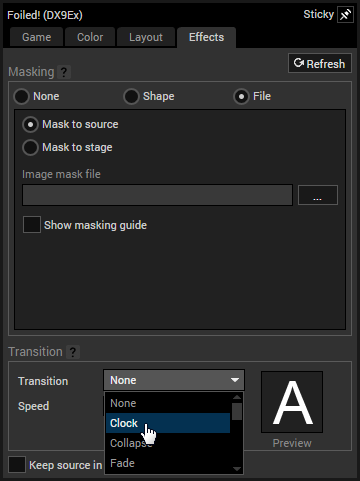 It is also important to manually set focus, white balance, and exposure because if these are set to automatic, the your chroma key can be affected by any adjustments made in automatic mode. Finally, always make sure that your on air talent isn’t wearing clothing that is a similar shade to your chroma key backdrop because they will also be affected. Note: Chroma key doesn’t always have to be used with camera sources. 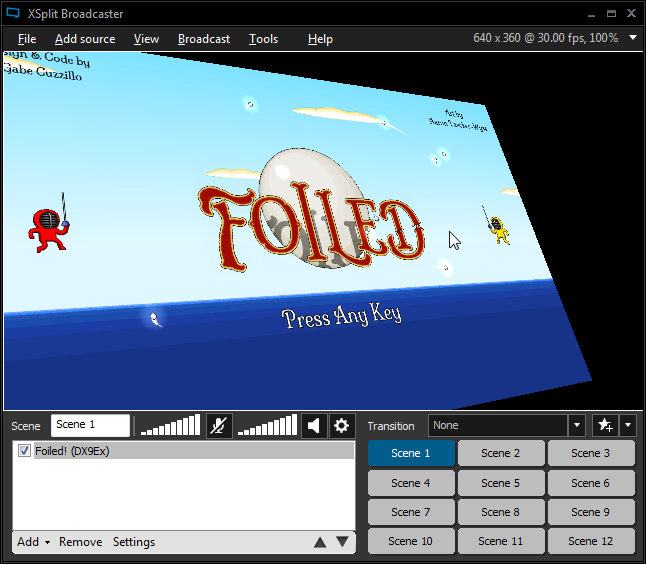 Many use chroma key with video files and screen captures to add items like video graphics and website based notifications. These are very useful for showing sponsors’ advertisements or various media during breaks. 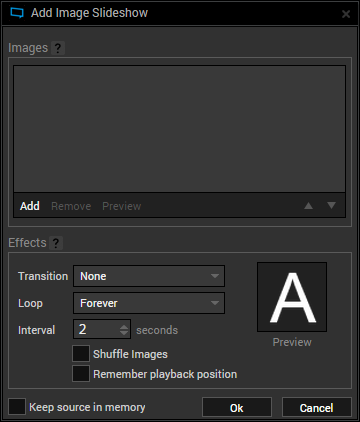 You can also apply custom transitions and looping effects. 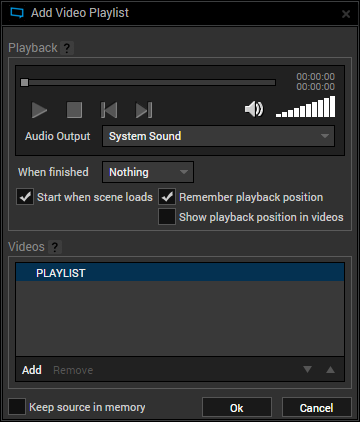 Audio setup can become extremely complicated as your stream setup becomes more advanced. Basically, once you want to have more than one gameplay feed and one person speaking, then you will need to get an external mixer. There are a wide variety of mixers that cost an equally wide variety of prices. However, most entry level mixers will get the job done. 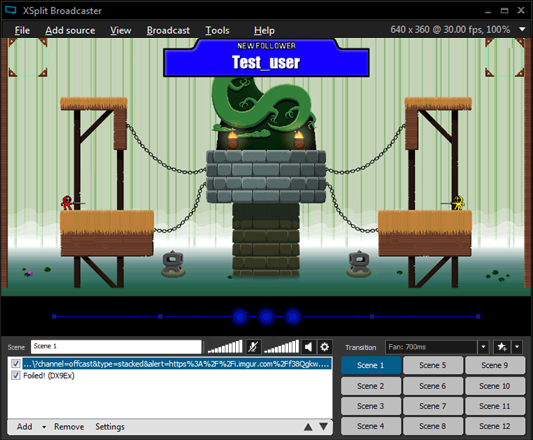 The main items to take into account are are that you must have enough inputs for your commentators, game sound, and perhaps an extra input for video or music playback. 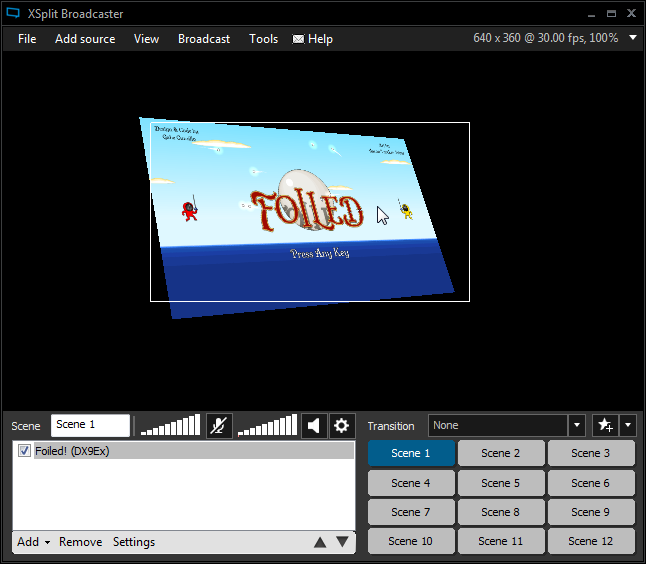 Some extra useful features would be auxiliary outputs to send audio to the audience and a talk back feature to send audio to the audience. 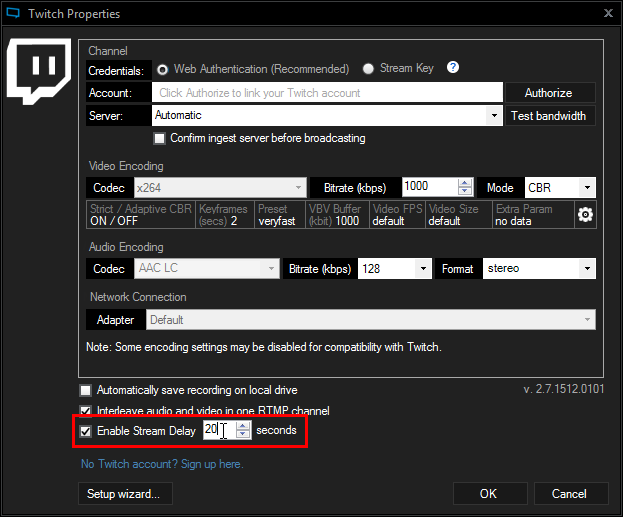 Now that you’ve gotten your mixer set up, the question becomes how to send audio from the mixer to XSplit Broadcaster. 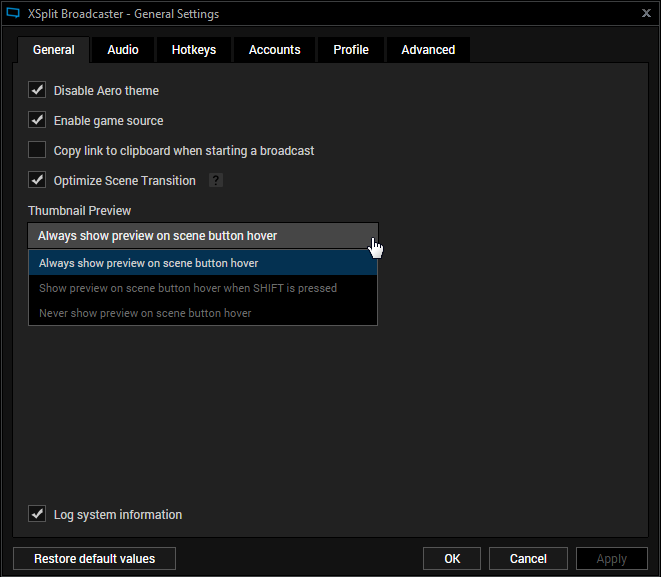 Some of the mid range mixers have USB functionality that allows the mixer itself to be seen as a microphone input in XSplit Broadcaster. However, the most common method is to use a cable to send the mixer output to the microphone or line input of the PC. Be warned that some users encounter static or noise when using this method. This could be due to either electrical noise or faulty electrical wiring. The noise can be reduced by connecting the PC to a power cleaner. 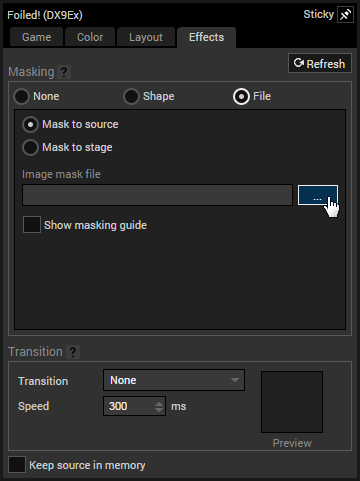 To remove the mask, click on None. 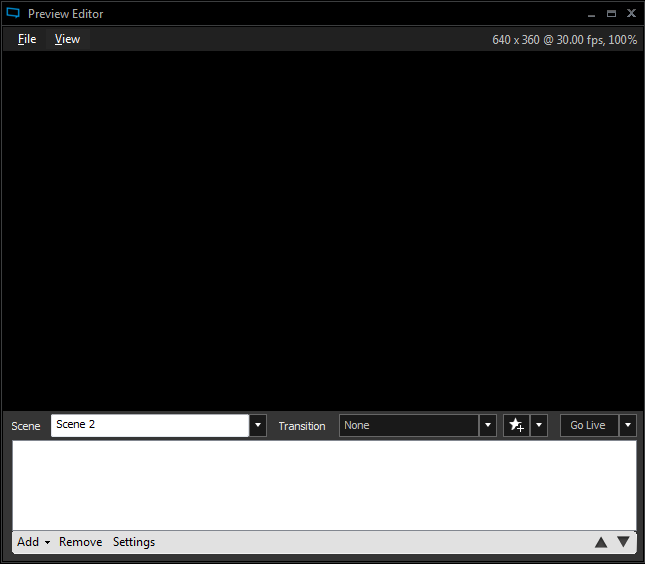 To deactivate the transition, set it to None.